Note that this is an updated, corrected, version. Several names appearing in the original essay have subsequently been proven not to have been freemasons, demonstrating that freemasons have sometimes allowed their enthusiasm to outstrip their research. Written by RW Bro. Jim Harrison*, the original of "Celestial Lodge", or "Installation Night at the Celestial Lodge"originally titled "Installation Night at Lodge Immortal"first appeared in Biographical Journal of Freemasons: British Columbia and the World. (Vancouver : Gavel Historical Society of British Columbia, n.d. [c. 1993]. Jim Harrison, ed., vol. 1, no. 1. p. 22-23). A variation entitled "Installation Night at Heritage Lodge", inspired by Jim Harrison's visit to the Victoria Wax Museum, appeared in the Proceedings of The Twelfth Annual Grand Masonic Day, Vancouver, 16 October, 1993. Over the centuries many well known men have been members of our noble Craft. For a few moments, please allow your imaginations to run wild and consider what may take place at the Installation of the Celestial Lodge, otherwise known as the Grand Lodge Above. Greeting members in the entrance hall was Bro Cliff Arquette of Charley Weaver fame and Bro Ed Wynn. In the boardroom, a group of senior DeMolays were gathered including Bros Walter Disney, Chet Huntley, Wendell Corey, Van Johnson, Robert Cummings, John Steinbeck, Fred MacMurray and John Cameron Swayze. Taking a quick look into the Banquet Hall, Bros John Molson, Frederick Pabst and Joseph Schlitz were busy rolling in some kegs of beer for Bro Sam Bronfman, late president of Seagram Distillers, who was setting up the bar for the Festive Board to follow the Ceremony. Bro Colonel Harland Sanders was cooking up a storm in the kitchen and it was an easy guess as to what the evening meal would consist of. The orchestra members for the dance to follow the Banquet were tuning. Members of this all-star group included leader Paul Whiteman, WC Handy, Nat King Cole, Irving Berlin, George M Cohan, Cyril Stapleton, Duke Ellington, Count Basie and Al Jolson. Tonight's performance would be M.C.ed by Bros Arthur Godfrey and Danny Thomas. Magical Bros Harry Houdini and Harry Blackstone were setting up their props while Bros WC Fields, Oliver Hardy, Bud Abbott, Harpo Marx, and Foster Brooks were fine tuning their comedy routines for tonight's show which was being produced by Bros Cecil B DeMille, Flo Ziegfeld, Louis B Mayer, Hall Wallis and DW Griffiths. A number of sports celebrities were gathering together, including Bro Abe Saperstein, creator of the Harlem Globetrotters, who was explaining his version of the game to Bro James Naismith, the inventor of the game. They were joined by baseballers Bros Charles Ebbetts, Ty Cobb, Branch Rickey and Cy Young, the first pitcher to be inducted into the Baseball Hall of Fame. A little further along the hall was an array of masons dressed in knee breeches, lace cuffs and powdered wigs, others in tuxedos, including Bros Kit Carson, Davey Crockett and Buffalo Bill Cody, clad in their familiar buckskins, Chiefs Crazy Bull, Tecumseh and Joseph Brant in their native attire. Most colourful are the military uniforms of Lord Nelson, Lord Cornwallis, the Duke of Wellington and John Paul Jones. Bro John Diefenbaker had just signed the Tyler's Register with one of Bro John Sheaffer's pens. He was accompanied by Bros Robert Borden and RB Bennett, fellow Canadian Prime Ministers, and by Bro Joe Smallwood of Newfoundland. On entering the lodge room the brethren were greeted by the Inner Guard, Bro Paul Revere. Seated already were polar explorers, Robert F Scott of England and Bro Richard E Byrd of the United States, together with Matthew G Perky and Canada's Henry Larsen. Bro Charles Lindbergh could be seen in deep conversation with Bros Hap Arnold, Gus Grissom, Eddie Rickenbaker and Charles Kingsford-Smith. From the Junior Warden's station came a burst of laughter. Bro Will Rogers had brought broad smiles to the faces of the royal personages gathered around him, including George I, Frederick the Great, Gustav V of Sweden and George VI. To the right of the Junior Warden's chair, architect Sir Christopher Wren was joined by Statue of Liberty sculptor Frederic Bartholdi. Gathered around the Secretary's desk, Bro Rudyard Kipling was discussing the evening's proceedings with Bro Robert Burns, who was to give one of the Charges assisted by Bro Mark Twain. Also taking part were Bros Conan Doyle, Walter Scott, Alexander Pope and Robert Service. The founding members, Bros George Washington, Sir John A. Macdonald, Guiseppe Garibaldi, Benito Jaurez, John Hancock and Ben Franklin were seated in the East. They have been joined by Sir Stamford Raffles, founder of Singapore. The Generals, Omar Bradley, Jimmy Doolittle, George C Marshall, John Pershing and Douglas MacArthur, take their seats next to Franklin Roosevelt and Winston Churchill. The Lodge Treasurer, Bro Henry Knox was busy collecting dues from Bros Thomas E Dewey and William McKinley. The Master, MW Bro HRH Duke of Connaught, has rapped the gavel to call the lodge to order and it is now time for us to depart. With one last took at this brilliant assembly, one wonders what the public's perception of Freemasonry might be if they were able to visit such a lodge. An enthusiastic researcher, Harrison's enthusiasm sometimes outstripped his research. Included in the orginal version of this description of an imaginary lodge meeting were Louis Armstrong, Samuel Johnson and Captain James Cook, who were not freemasons; the Duke of Wellington, who in his later years couldn't remember ever joining; Arthur Conan Doyle and Winston Churchill, both of whom demitted; and Robert Service, who was dropped from the rolls several years after taking his Fellowcraft degree. Explorer Richard E. Byrd might take exception to appearing on the rolls as "Richard E. Bird" and the tyler of this imaginary lodge, J. Edger Hoover, might take exception to sitting in lodge with the outlaw Butch Cassidy. 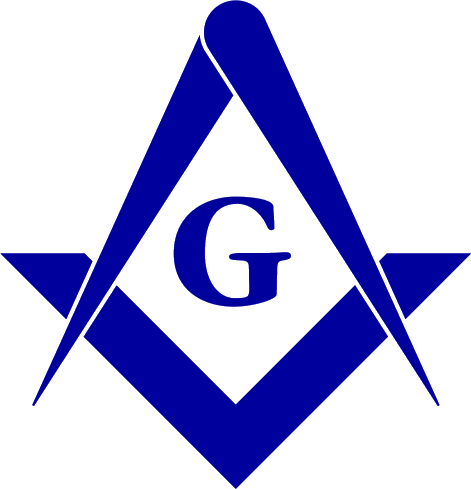 The list of DeMolay should not be mistaken for freemasons. Several other names were also misspelt. The appearance of Butch is both startling and curious. The text read: "Bros. John Wayne, Hoot Gibson and Tom Mix, were listening to Bro. William Thaddeus Phillips, also known as Butch Cassidy." Although Phillipswho was a freemasonmade the claim in his posthumously published autobiography that he was Butch Cassidy, both his widow's correspondence, published in True West, December 1969, and subsequent research by historian Charles Kelly have disproven his claim. Louis Armstrong has been shown by W. Bro. Joseph A. Walkes, Jr.. of the Phylaxis Society not to have been a freemason. Captain James Cook's non-masonic status was shown by Roy H. Clemens in "Captain James Cook - Freemason?" Honolulu: Masonic Public Library, 1980. 10 pp. The errors are noted here because the original essay, complete with errors, has been widely reprinted on other websites. * James Robert Harrison (1945/08/24-2016/01/07) was a professional photographer in Vancouver, BC, amateur historian, and administrator for Gizah Temple Shrine.